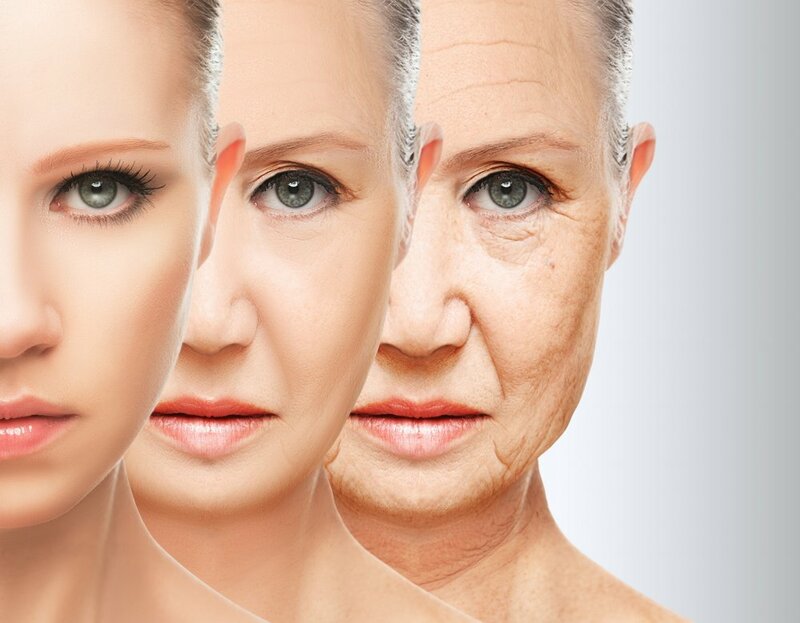 Aging is inevitable but with the right combination of homecare and professional treatments you can slow down the hands of time and age gracefully. Skin Junkie's state of the art modalities - such as light therapy and nanotechnology infusion - focus on treating the skin at a cellular level to increase collagen production and improve cellular health. A progressive, rather than aggressive approach to optimal skin health is the foundation of Skin Junkie's customized treatments. Each person is unique; so is the treatment designed for your desired outcome. Please note: Advanced treatments are not performed on first time clients. You must first schedule a consult or custom facial treatment and commit to using a personalized skin care regimen specific to your needs. Rejuvalift improves volume and elasticity by infusing the skin with a fantastic combination of PDO (thread collagen) and colloidal gold. Thread collagen components are absorbed slowly to maximize a lifting effect and improve complexion. This treatment redefines the jaw line and provides a dramatic lift to the skin. Lines around the mouth, eyes and forehead are softened and hydration levels are drastically improved. Rejuvalift is a perfect alternative to injectables with the benefits of long term improvement to the skin. Sculplla drives an ingredient called Poly L Lactic Acid (main ingredient in Sculptra) into the epidermis resulting in plumping of fine lines and wrinkles, improvement of volume loss and brightening and tightening of the skin. Results from Sculplla are instant - one treatment can last up to 6 weeks and a series of 3 to 5 treatments can last up to 5 months. There is no downtime associated with Sculplla but skin must stay dry for 12 hours. This treatment is a perfect alternative to filler injections. Now being applied topically to the skin, this is a widely sought after cosmetic treatment. Skin must be in a healthy state for optimal results - a well established home care regimen is a must before receiving Sculplla! A unique and different approach to harsh peeling and laser procedures, this cutting edge treatment produces the same results WITHOUT the pain or downtime associated with aesthetic equipment. FCR activates cell regeneration cycle and stimulates collagen remodeling. It works through a mechanical action of gentle rubbing techniques that penetrate 200nm micro fractionated prickles from mineral rich coral in to the skin. FCR is extremely effective at lifting hyperpigmentaton due to sun damage and melasma, reversing acne scarring by resurfacing the texture of the skin and improving pore size dramatically. Exclusively available at Skin Junkie! ***Skin Junkie's #1 treatment! *** The true beauty of nanotechnology is in what you cannot see. By it's very definiton, "nano" means too small to be seen with the human eye. The Rezenerate harnesses this brand new new, state-of-the-art technology and utilizes it in a way no other skin care technique can to build and reproduce collagen. Permeations created by this cosmetic tool are so tiny, they actually pierce the skin cell walls without damage and create pathways for nutrients. Skin is literally nourished directly at a cellular level! With continued treatment, skin will not only look and feel better, it will actually BE healthier. The newest and greatest healthy alternative to microneedling! Combination of Dermaplaning and Rezenerate 'Nano' Infusion. Skin is exfoliated first using dermaplaning and natural enzymes. Rezenerate exponentially boosts the absorption of serums in to skin leaving it with a plump, natural glow improving tone, texture and hydration levels. Skin is nourished from the inside out. Includes LED therapy.